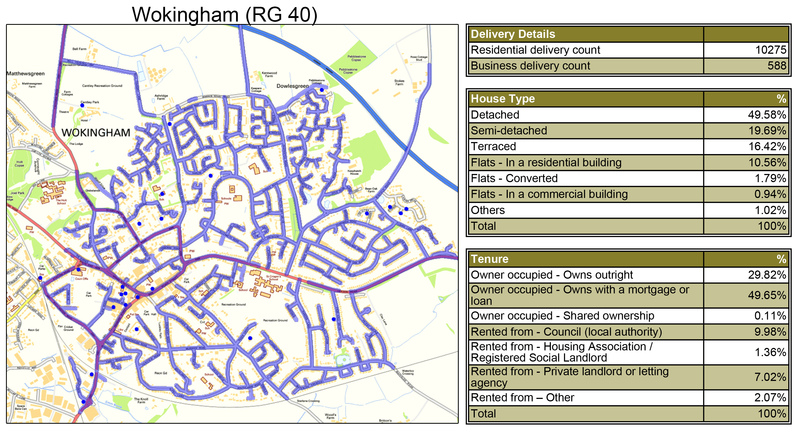 Abracadabra Leaflet Distribution offers cost-effective GPS tracked leaflet distribution Wokingham RG40 – RG41. We pride ourselves on being a flexible direct mail company enabling you to get the best possible service that suits your requirements. Our free one-to-one consultation with one of our marketing experts will help you decide on a clear way forward for your marketing campaign and then it is just a matter of our team tailoring to your specific requirements. Our in-house design team are always happy to manage all aspects of your design, print and distribution requirements. After all, we want your campaign to be as successful as possible since the more successful you are – the more successful we are! We also offer bespoke mapping solutions to tap into target markets in the most economical way and all of our deliveries are tracked via GPS. In addition to this, we are a proud member of the Leaflet Distribution Organisation (LDO). But don’t just take our word for it – see what our clients have to say about us by visiting our testimonials page! Why Choose Abracadabra Leaflet Distribution? As the old saying goes ‘the best things in life are free’, so let’s start by telling you FREE services and other benefits we can provide for your leaflet distribution campaign. Special discount on our customised design, print and distribution packages. You can choose any quantity between 1,000 to 500,000 and it can be distributed by our efficient GPS tracked delivery staff. We can definitely offer you a quick turnaround for your time sensitive promotional campaign with available services of between 1 Day Guaranteed – 14 Day Guaranteed. Wokingham is a market town and civil parish in Berkshire in south-east England about 33 miles west of central London. It contains an area of 557 acres. For your promotional or direct marketing campaign, Abracadabra Leaflet Distribution Wokingham can cover the town in addition to Wokingham East, Finchampstead, Wokingham West and Woosehill.